Des Moines North High School College & Career Counseling Department offers information and resources to all students and families in the areas of Academics, College, Career, and Post-Secondary Planning. We also assist in issues or concerns with the Social/Emotional well-being of all students. It's a Great Day to be a Polar Bear! Julie Charikov has been working at North High School since 2011.Mrs. Charikov was the IJAG teacher at NHS for three years before becoming a counselor in 2014.She says her favorite part of her job is getting to know the students and helping them to make plans for their future. Mrs. Charikov holds a Master of Science Degree in Secondary School Counseling from Drake University. She earned a Bachelor of Science Degree at Upper Iowa University in Human Services and Psychology. I am Laura Negrete Reinders and I am one of the school counselors at North High School. I received my undergraduate degree from the University of Iowa and my Master’s degree from Drake University. I began my career with the Des Moines Public Schools in 2003 as a SUCCESS Case Manager at East High School. In 2006 I transitioned into an Academic Advisor position with the GEAR UP Program and worked with a cohort of 7th grade students at Weeks Middle School. I followed that group of students back to East High School and worked with them until their graduation in May of 2012. Most recently I was at Lovejoy Elementary from August 2012 until May 2016 as a School Counselor and I enjoyed the opportunity to work with elementary students. I have brought that knowledge and experience with me to North and look forward to helping students develop relationships that will positively impact their school experience. Ms. Martzahl has been a school counselor since 2011. Previously, she has worked at schools in Fort Dodge and Webster City, Iowa. She received her Master's of Science in Ed. with an emphasis in School Counseling from Buena Vista University in 2011 and her undergraduate degrees from North Iowa Area Comm.College and Buena Vista University with majors in Criminal Justice and Human Services and minors in Psychology and Sociology. She is currently working on her second Master's Degree in Social Work. Trent Griggs has been a school counselor since 2011. 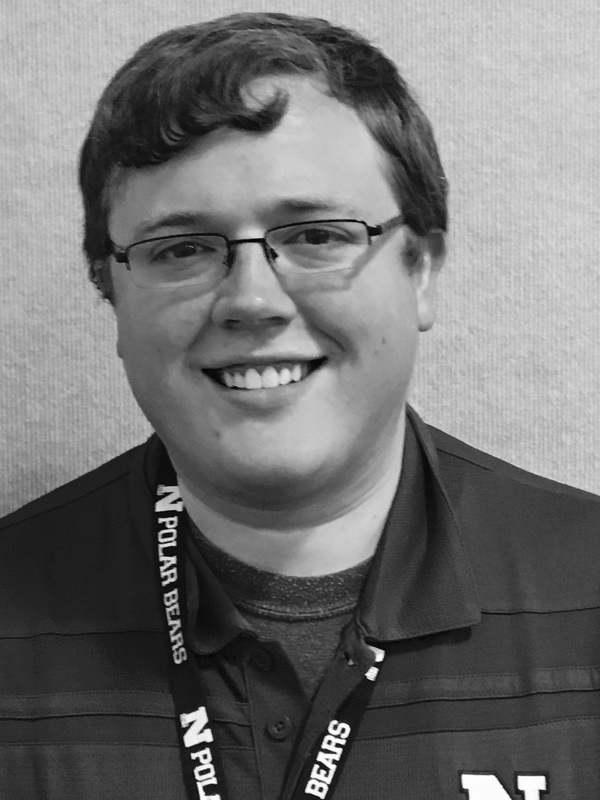 Originally from Eastern Iowa, he spent the last five years in Northwest Iowa, in the Emmetsburg Community School District, before coming to North High School in 2016. Griggs became a school counselor because he enjoys connecting students to resources and strategies to make them successful. He received a Master’s of Arts in Education and School Counseling from the University of Northern Iowa and a Bachelor’s of Arts in Psychology from Central College with minors in Sociology and Spanish.